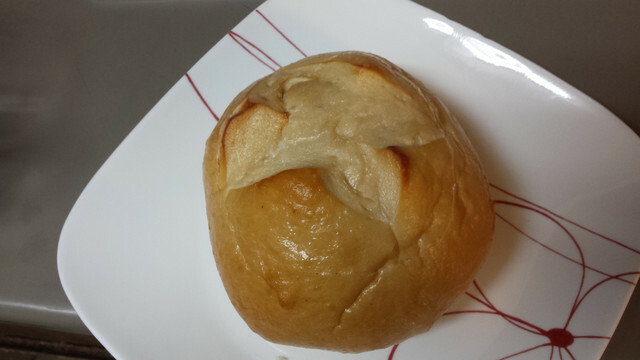 “Making the Curry Bread Bowl! 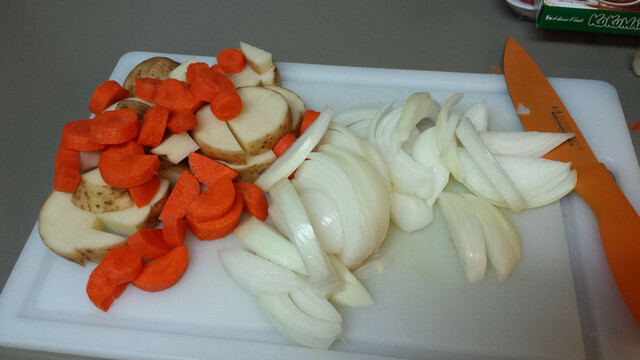 Start off by washing and roughly chopping vegetables. Scrub potato well, peel the carrot (I always use the back of a knife- just scrape it along the carrot), and peel the onion. 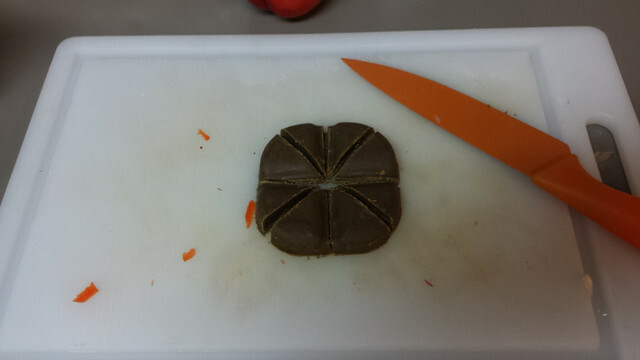 Chop everything into bite-sized pieces. 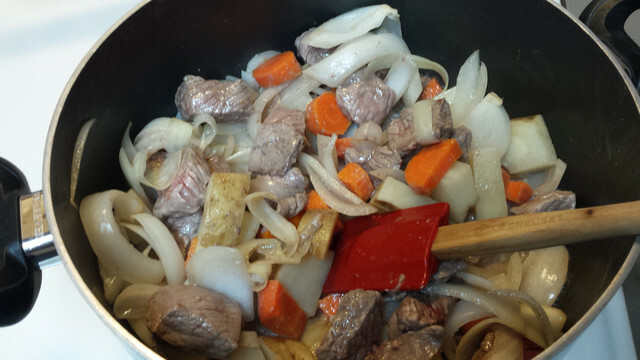 Cut stew meat into smaller, bite-size pieces if any are too big. Heat some oil in the bottom of a large stew pot to medium. I had the choice between two that randomly belong to one of my other housemates who has not packed up everything yet. I chose the smaller of the two, and instantly regretted it. Go for a pot or pan that was more surface space on the bottom. 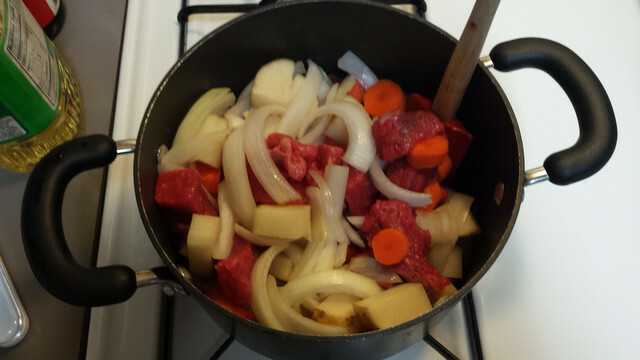 When oil is heated, dump stew meat in first, and pile veggies on top. I mixed it all together- don’t do as I do. Let the meat be on the bottom. It needs some personal time with the heated part of the pot. After a few minutes, give everything a good stir. When the meat is brown all over (5-7 minutes total), pour in water according to the curry roux instructions. Mine called for 2 and 1/8 cups water. 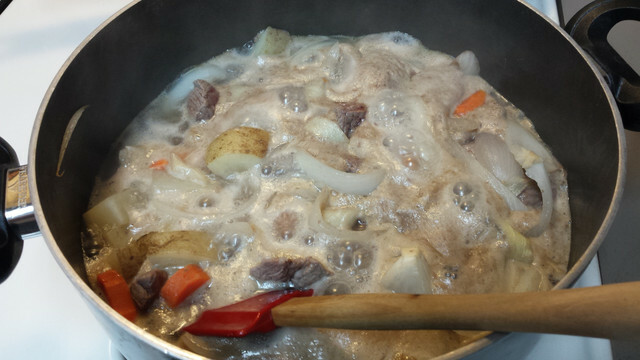 Bring to a simmer and let cook until vegetables are soft (about 15 minutes). Below are the ingredients without the water. While simmering, some scum might come to the surface. Just spoon this off and discard. 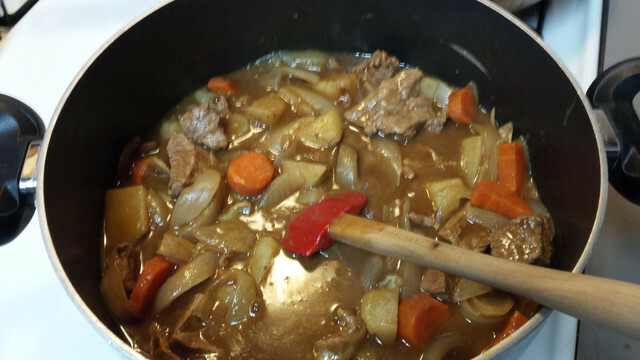 While the stew continues to simmer, get out your curry roux and cut into smaller pieces. Set aside. 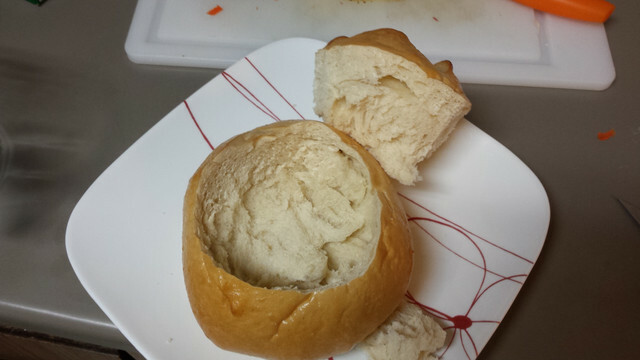 Set your oven to broil, take out your bread bowl, and cut a circle around the top in the size you want the opening to be. And carefully dig out the innards with your figers, working them down into the bowl along the cut you made. Be careful not to go too deep and take out the whole bottom. 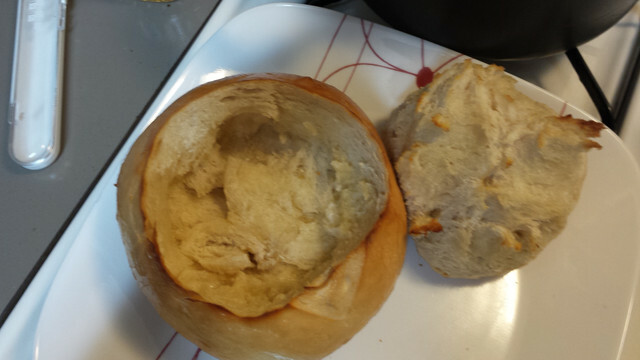 Then, butter the inside of the bowl as well as the lid/extra bread if you are going to serve it with the bread bowl. Pop this into the oven, right under the broiler, and let it lightly brown and get toasty. This took me about 7 minutes but watch it carefully-ovens heat differently and yours may toast faster or more slowly than mine. Feeling around the inside of the bowl, the bread felt dryer and crunchy on top, but still springy underneath. When veggies are soft, drop in the pieces of roux and stir through. Lower the heat and cook for about 5 minutes. DON’T let it thicken up too much- we want this a bit more liquidy than is normal so there is more sauce to bread. When ready and everything tastes ok to you (feel free to adjust salt and pepper if you think it needs extra), plate it up into your bread bowl! OK, so here’s the low-down on this dish. I can see you saying: Emily, this is so simple. Does this even count as an anime recipe? 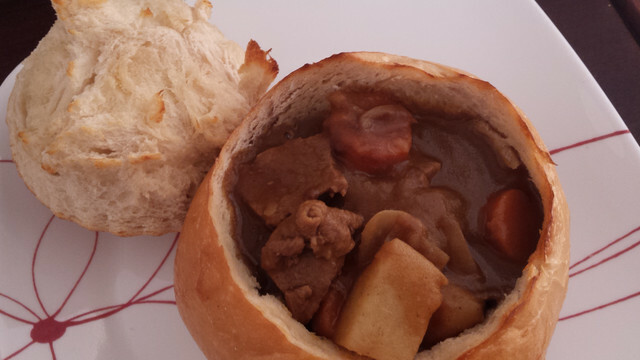 It’s just curry in a bread bowl, both of which require very little skill or effort to make/ acquire. Also, haven’t you ever heard about curry bread, you uncultured swine? To that I say: Just because it’s easy doesn’t mean it’s not real cooking. And yes it counts because it was in an anime. 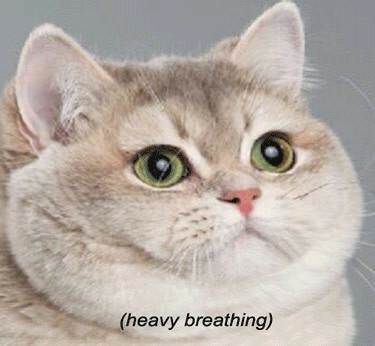 Also, please don’t bring up curry bread. I realize this combination already exists, and I’m here to tell you that THIS is definitely better than curry bread. More than any of that though, more than anything…this is just plain good. It’s simple, it’s easy, and the flavor payoff is HUGE. I was kuma-shocked by how tasty and satisfying this dish was. 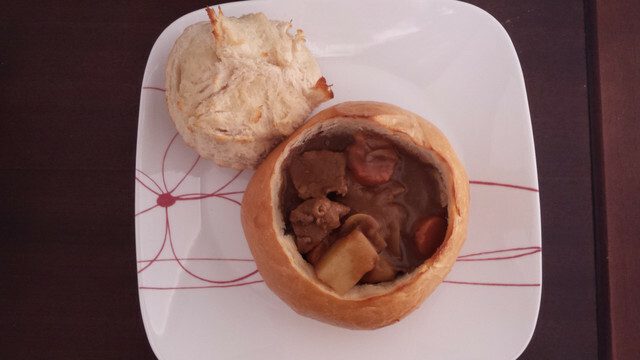 It combines everything great and good about a bread bowl with the interest and flavor-punch a curry brings. I like this better than curry and rice, because the mild sour tast of the bread bowl coupled with the salty-butter crunch and the savory curry was really addictive! Even better, I can see this as being a PERFECT fall/winter meal (yeah, only caveat- it’s burning hot here, making hot foods kind of unappealing at the moment), and I will 100% be making this again. Probably the thing that makes this even, EVEN better is that this recipe is EASILY doubled, and you can feel a crowd a truly impressive (and inexpensive) meal, making yourself look like a cooking champ. Even, EVEN, even better, if you want to make it all for yourself and eat leftovers for a week- you totally can, and they only get tastier.